4,Tap: Reveal a creature card in your hand. 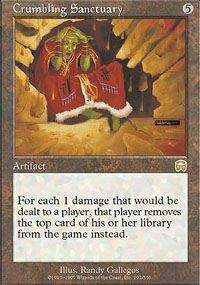 Search your library for a card with the same name as that card, reveal the card, and put it into your hand. Then shuffle your library. 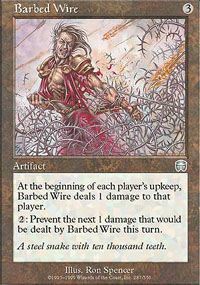 At the beginning of each player's upkeep, Barbed Wire deals 1 damage to that player. 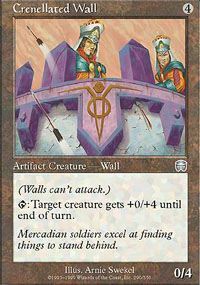 2: Prevent the next 1 damage that would be dealt by Barbed Wire this turn. X,Tap: Draw a card. 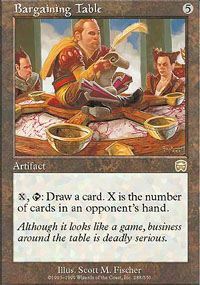 X is the number of cards in an opponent's hand as you play this ability. 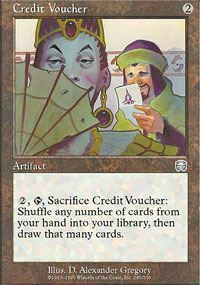 2,Tap,Sacrifice Credit Voucher: Shuffle any number of cards from your hand into your library, then draw that many cards. 4,Tap: Choose target creature you control and target creature an opponent controls. Flip a coin. 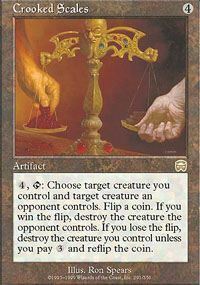 If you win the flip, destroy the creature the opponent controls. If you lose the flip, destroy the creature you control unless you pay 3 and repeat this process. For each 1 damage that would be dealt to a player, that player removes the top card of his or her library from the game instead. 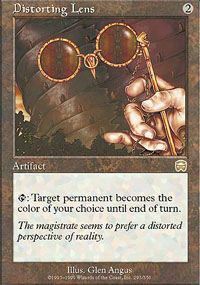 Tap: Target permanent becomes the color of your choice until end of turn. Tap: Add one blue mana to your mana pool. 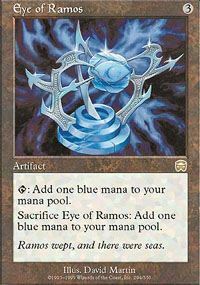 Sacrifice Eye of Ramos: Add one blue mana to your mana pool. 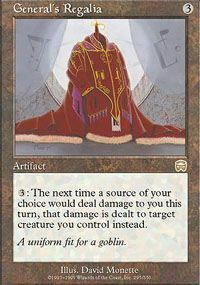 3: The next time a source of your choice would deal damage to you this turn, that damage is dealt to target creature you control instead.